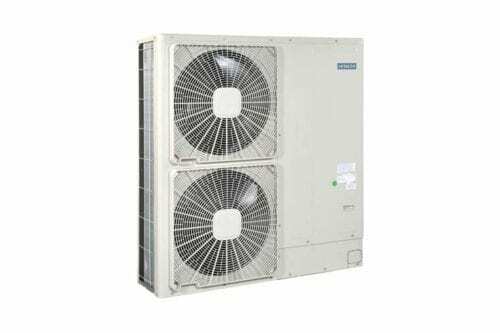 The Hitachi Yutaki-M 14KW Monobloc ATW Heat Pump air-to-water heat pump systems are available in capacities of 7.5kW or 14kW. The Hitachi Yutaki-M 14KW Monobloc ATW Heat Pump can provide domestic hot water and heating and is therefore ideal boiler replacement technology in a suitably insulated home or it can be used alongside an existing heating solution. It is a compact solution where a single unit is installed on the outside of the property, taking up no space inside. In Europe and across the world, Hitachi is committed to improving society through technology. From data storage solutions to transportation systems, Hitachi Europe Ltd has provided products, services and solutions to every sector of the European market since 1982. Hitachi, Ltd. is a Japanese multinational conglomerate company headquartered in Chiyoda, Tokyo, Japan. The company is ranked 38th in the 2012 Fortune Global 500 and 129th in the 2012 Forbes Global 2000. Join our ZERO Home Bills Community. 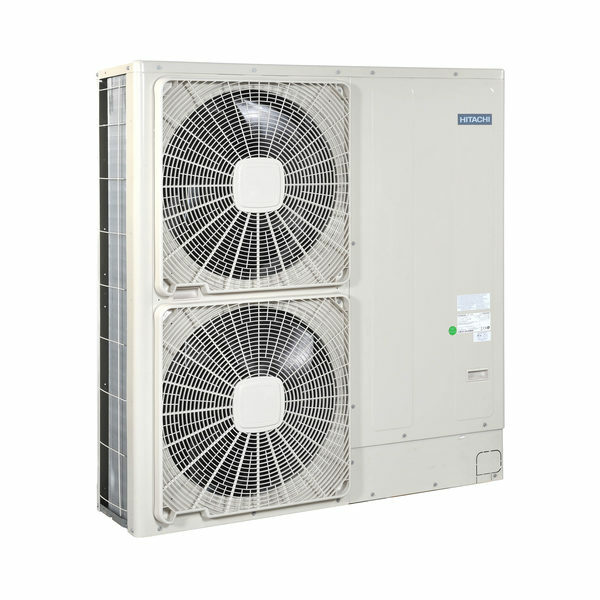 The Best Air Source Heat Pumps from the BEST Heat Pump Brands at the BEST Retail Prices available in your market on ZEROhomebills.com by Solaranna. In Europe and across the world, Hitachi is committed to improving society through technology. From data storage solutions to transportation systems, Hitachi Europe Ltd has provided products, services and solutions to every sector of the European market since 1982. Hitachi, Ltd. is a Japanese multinational conglomerate company headquartered in Chiyoda, Tokyo, Japan. It is the parent company of the Hitachi Group (Hitachi Gurūpu) and forms part of the DKB Group of companies. Hitachi is a highly diversified company that operates eleven business segments: Information & Telecommunication Systems, Social Infrastructure, High Functional Materials & Components, Financial Services, Power Systems, Electronic Systems & Equipment, Automotive Systems, Railway & Urban Systems, Digital Media & Consumer Products, Construction Machinery and Other Components & Systems. Hitachi is listed on the Tokyo Stock Exchange and is a constituent of the Nikkei 225 and TOPIX indices. It is ranked 38th in the 2012 Fortune Global 500 and 129th in the 2012 Forbes Global 2000. Join our ZERO Home Bills Community. BEST Products from the BEST Brands at the BEST Prices for ZERO Home Bills on ZEROhomebills.com by Solaranna.